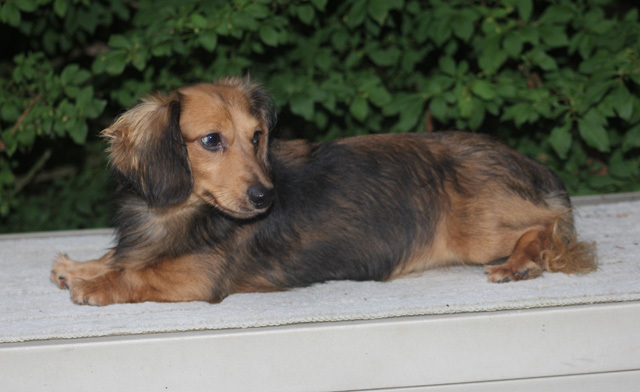 Louie’s Dachshund sires pass their great traits along to beautiful Dachshund puppies that are raised in North Carolina. Their puppies are offered for sale in North Carolina, Georgia, Tennessee, and Virginia. Sales and shipping to all 50 states. 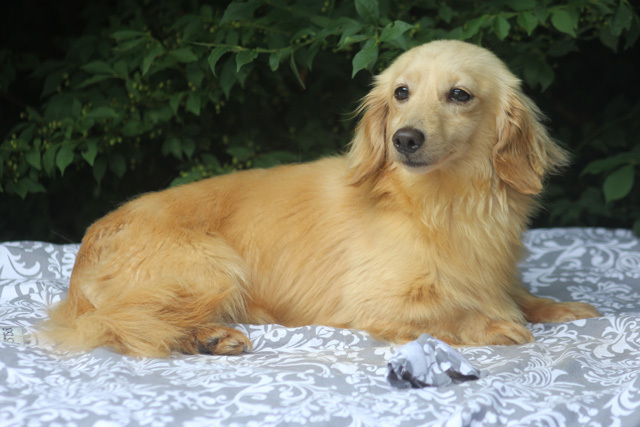 Louie’s Dachshunds Sires produce beautiful and high quality Dachshund puppies for sale. They pass along all of their excellent traits such as gorgeous coats, temperament, and conformation. 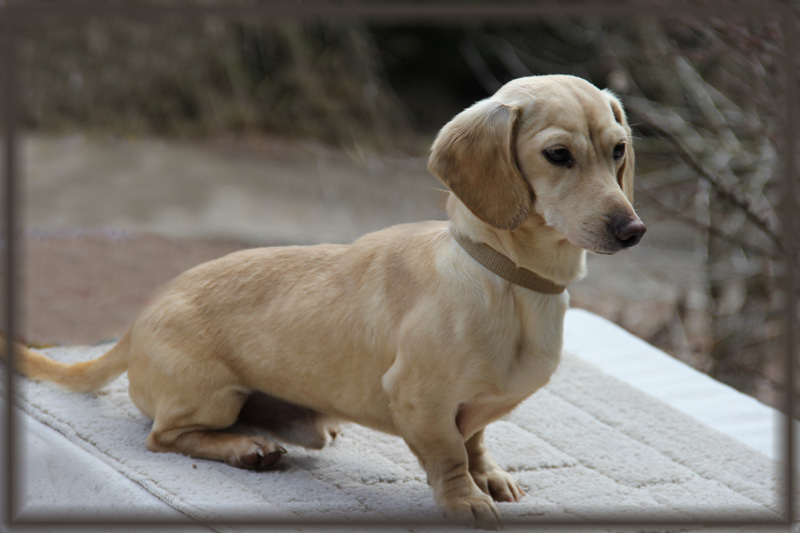 Louie’s Dachshunds Sires produce all colors, long & smooth coats, and all patterns of Dachshund puppies. 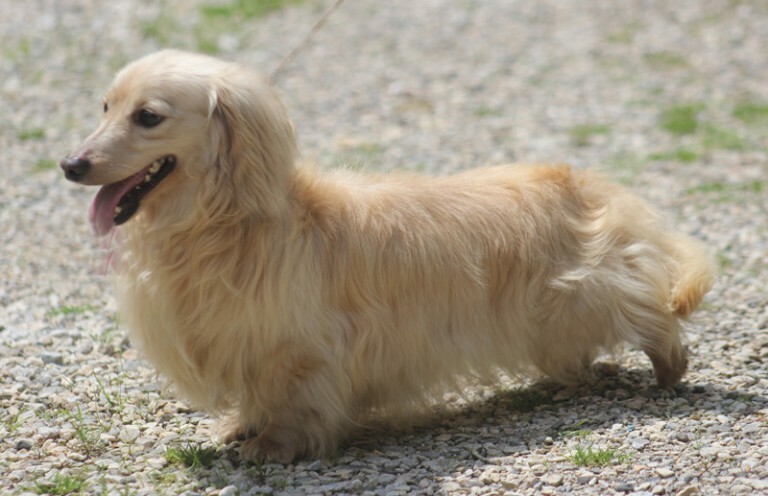 They also produce the ever famous English Cream Dachshund puppies and the Wire Hair Dachshund puppies. 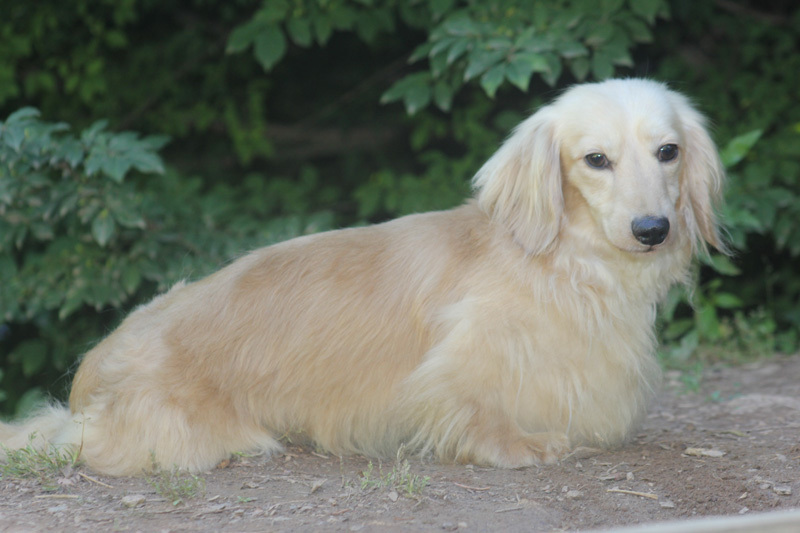 We choose our males carefully and only breed Sires with excellent pedigrees and also do our best to breed true to the Doxie standard. Pedigrees are available upon request. Enjoy looking at our very handsome guys as you say “ooh and ah”. Little John is our very handsome ee English Cream. He comes from Heidox Maxwell lines and has a great personality. His parents are our Genesis & Sir Bentley. Weight 9 lbs. 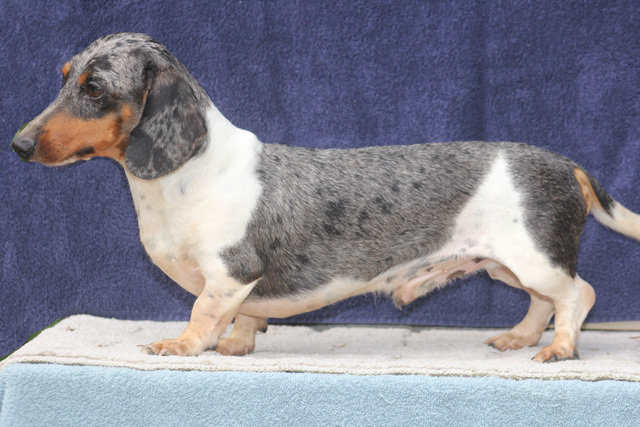 Lazzy is our high spirited blue & tan dapple piebald. He produces absolutely beautiful babies. Weight – 10 lbs. 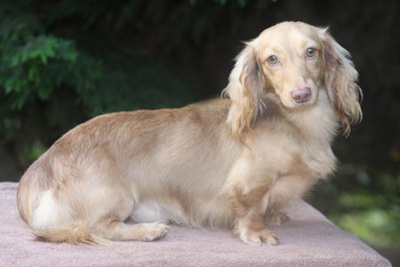 Noah is our chocolate based English Cream and comes to us from Grendox Dachshunds. He has it all – looks, great conformation, beautiful coat, hazel eyes, great pedigree! Weight 9 1/2 lbs. Thanks Tracy for our handsome Noah. Just take a look at our little Benny with those long hound dog ears! He is a lover boy and a 24/7 lap dog. 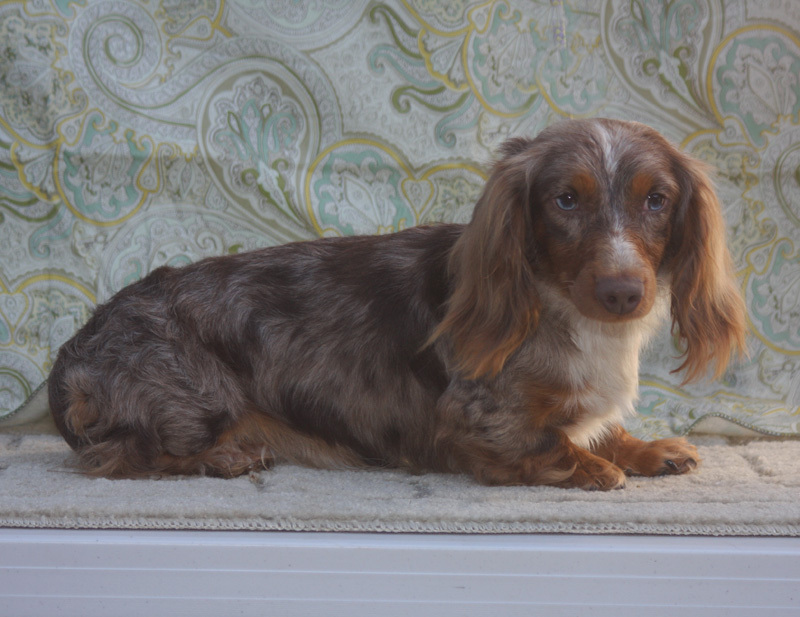 Benny is a chocolate & tan piebald dapple with beautiful blue eyes. 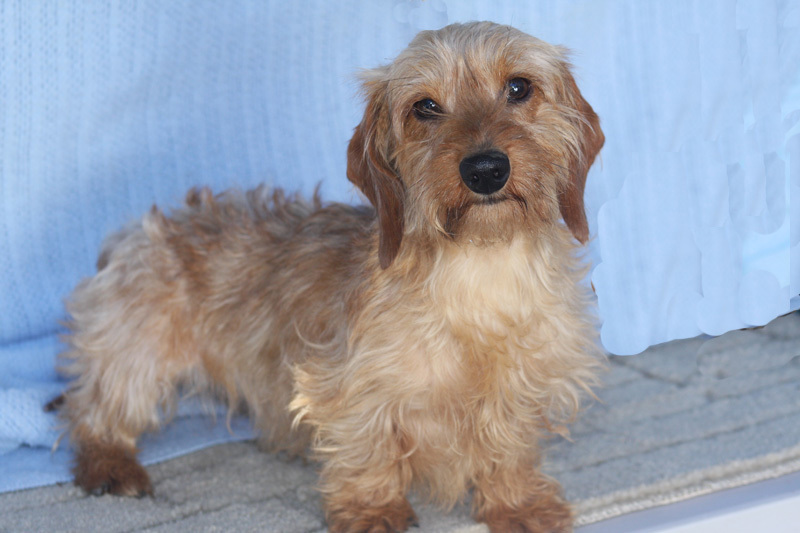 He comes to us from Dachshund Dude Ranch. Thanks Molly for such a handsome little fellow. Weight 8 lbs. Aaron is a very handsome ee English Cream. He is a very happy and loyal gentleman. He is a great little stud and makes beautiful ee cream bbies. 8 1/2 lbs. Caleb is our very friendly little wheaton soft wire hair. Oh, he is just so busy and upsets the apple cart with everybody. He is a typical wire hair – cute as a button. weight 9 lbs. We call Hezekiah our mountain man. He is a smooth coat cream and carries for chocolate. He loves to hunt and play in the mountains behind our house. 10 1/2 lbs. Paul is our “cute” little guy. He is just full of himself – always attracting attention and wooing folks with his friendly ways. He is a clear English cream and weighs all of 8 lbs. Moses is our handsome red dapple boy. His good looks matches his great loving personality. He produces beautiful red babies! 10 lbs.